What does the graph tell me? 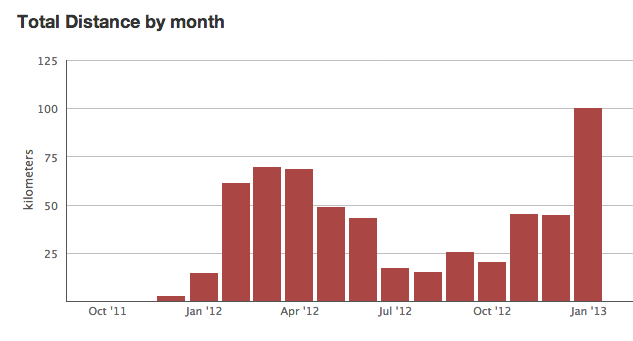 In 2012, my highest mileage were during the month of February, March and April. Reason? 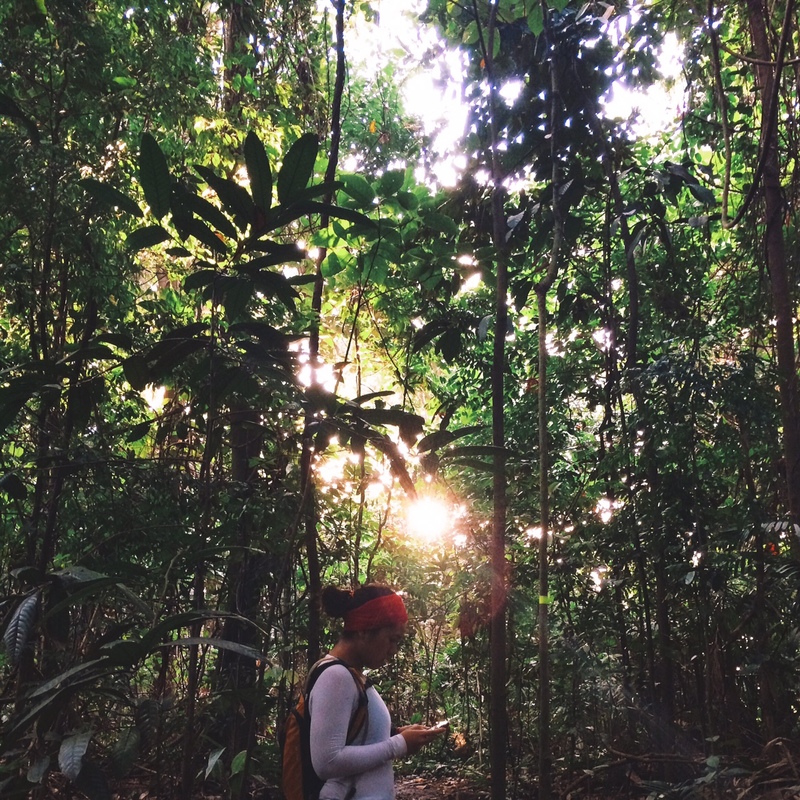 I was training for my first 10km in the 2012 KL Marathon held on 24 June. Some of my laziest months were July & August. Not surprised there; July and August were the fasting months followed by Eid al-Fitr. Current month – January 2013. Highest mileage at 100km! I clock in more mileage when I’m following a training plan. 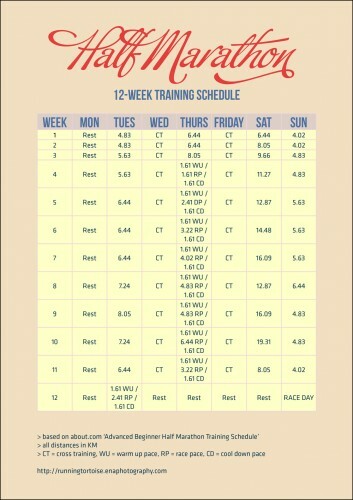 I need to put some thought into how I can incorporate some running during the fasting month. If you have any suggestions on how this can be done, please do share with me. What the graph doesn’t show is the number of 10km (and up to 12km) races that I’ve done in 2012; 8 to be exact. It was only fitting that I start will half-marathons this year right? (Yeah right. 10km still takes up a lot from me and here I am thinking of a half-marathon). 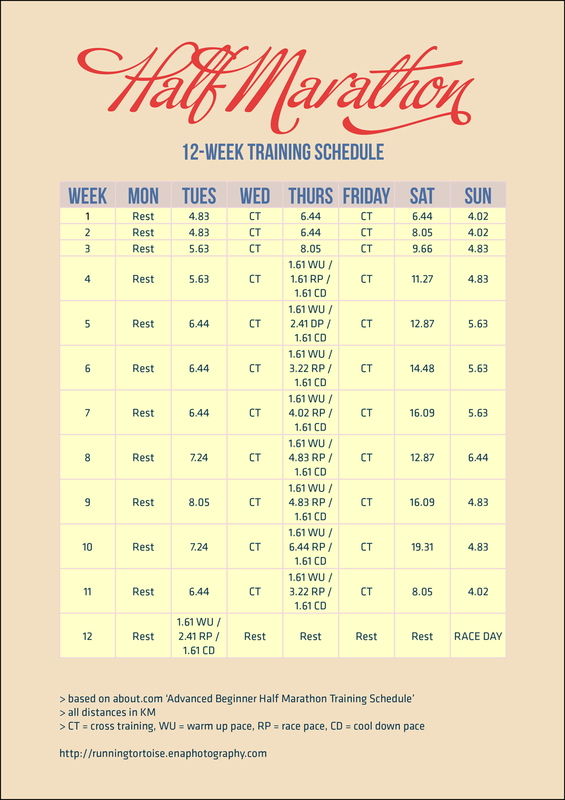 I did a bit of research and comparison on half-marathon training plans and settled on this Advanced Beginner Half-Marathon Training Schedule found on About.com. It looked right. I had it converted into kilometers (coz we are so Bri-ish like that) and had it saved into my phone. I’m happy to say I’ve completed 3 weeks of the training plan and with that I achieved the magical 100km. Full res of schedule here. The schedule will open in a new window – right click and save as. “Since I can’t go fast, I might as well go far”. Bam! Can I copyright that quote? 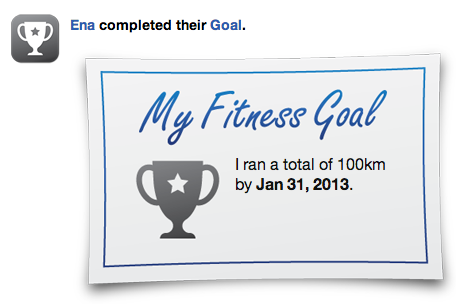 This entry was posted in Blog and tagged goals, milestones, running, training on January 30, 2013 by Ena.